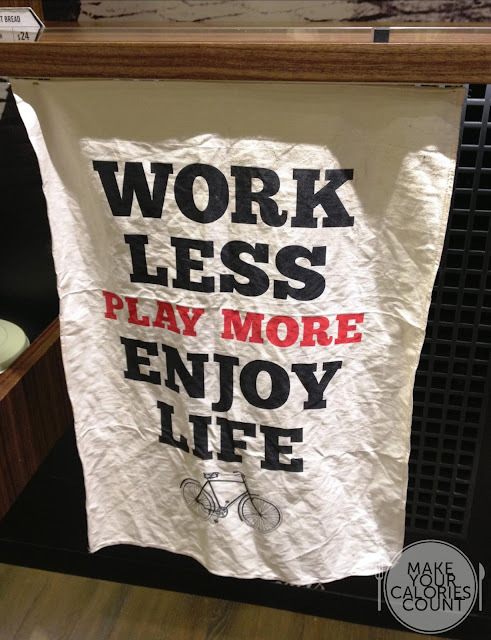 Walking into the marketplace located at the basement level of Hysan Place (Causeway Bay) was a 'fragrant' experience. Yes, you read me right there. 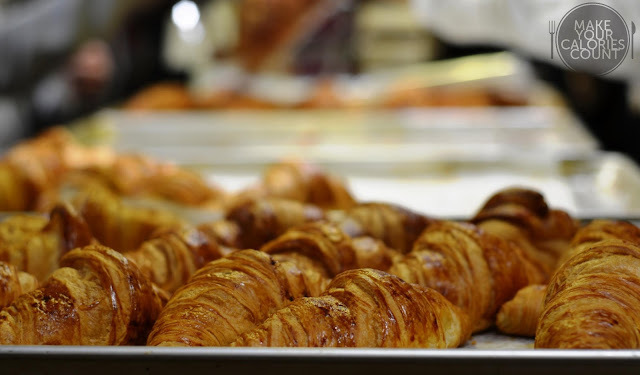 Expect to be whisked by the aroma of freshly baked pastries as you venture deeper into the supermarket and it will not be long before you notice a queue, all for the much anticipated signature croissant. Oh, and of course, plenty of interesting banners and billboards! 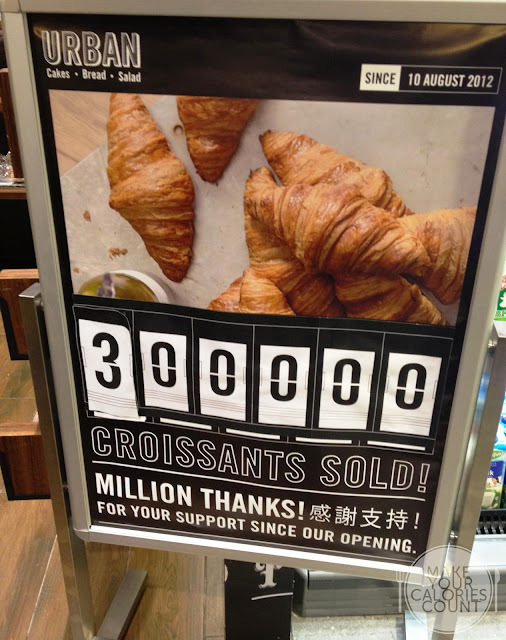 Quite frankly, I was surprised that they kept track of how many croissants they bake, but anyhow that was beside the point. Do note that each customer is limited to 9 croissants only! After titillating the sense of smell, it is about time to get those tastebuds to do the judging! Right..what exactly did those initials A.O.C represent? It stood for appelllation d'origine controlee, which is the French certification granted to certain French geographical indications for wines, cheeses, butters and other agricultural products.With a rigorous set of clearly defined standards, premium A.O.C graded quality butter was used in the making of the croissants, which explained the richness of the butter flavour. It was crisp to the bite and will almost certainly leave your eating trails behind with those buttery flakes. 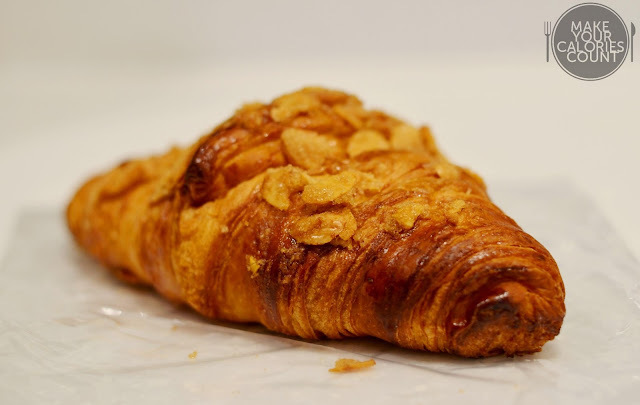 Personally, I favoured the almond croissant more than the original, with the former having a slight tinge of sweetness, enough to please one's palate and not overly saccharine causing satiation to one's appetite. 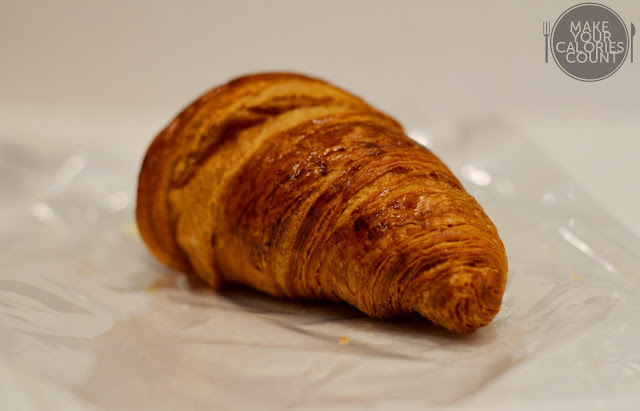 We particularly enjoyed the light crisp surface of the croissant which had a beautiful toast coat and the fluffy insides filled with pockets of air. The texture is further enhanced with the well baked almond flakes which offered an added crunch. Most importantly, the flavours were well balanced between the mild salinity from the butter and the sweetness owed to the glaze coating over the almond flakes. 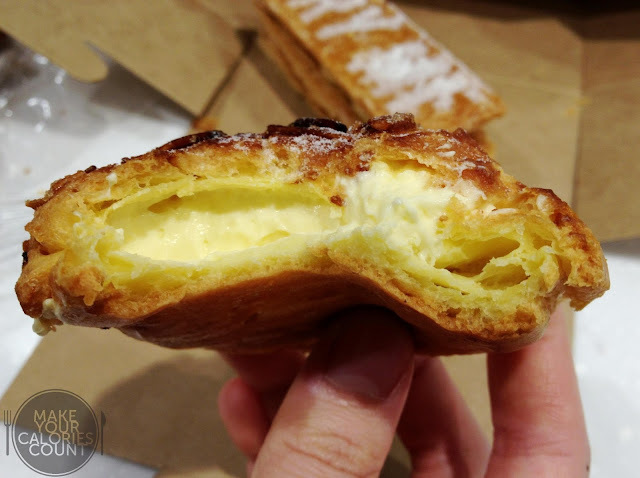 Certainly one of the top-rated croissants tried in Hong Kong thus far. 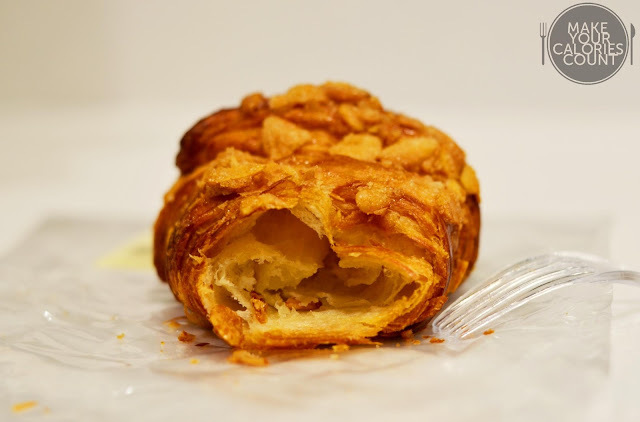 The original croissant was similar to its almond counterpart and a perfect snack enjoyed even on its own. 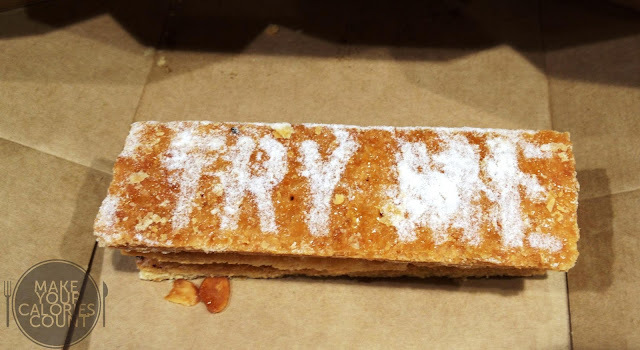 We were pretty much attracted by the powdered wordings 'Try Me' and decided to give this widely popular pastry a shot. 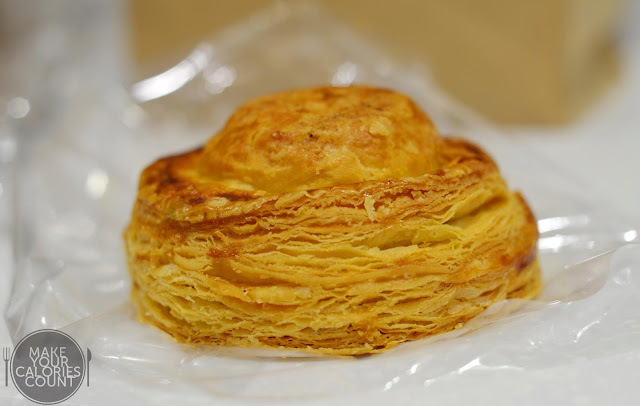 We were mildly disappointed to say the least when it came to the tasting, for the pastry was not as crisp and flaky as expected. In fact, it was slightly damp on the inside. 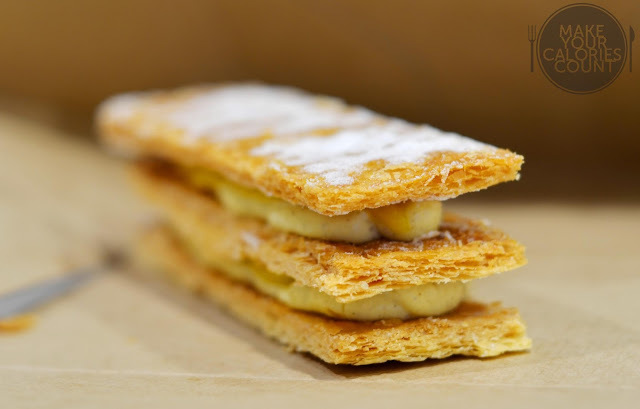 The creme patisserie at the mid-section separating the layers of puff pastries was a generous spread of vanilla creme. It was fresh and ingredients were premium, spotting vanilla pods. Not the best version of Napoleon, I am afraid but it was passable due to the quality ingredients. 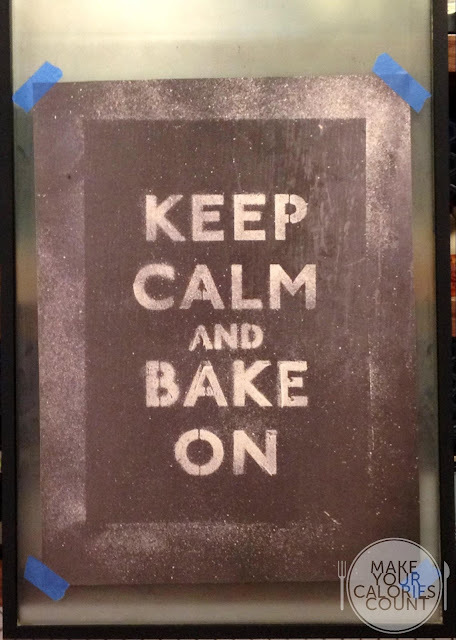 This pastry was baked exactly how it should be. Topped with some almond flakes, the puff was beautifully baked leaving a crisp surface and a fluffy, almost feather-like inside that was soft and moist. The custard was velvety smooth and light in both flavour and density and complemented the crusty texture on the surface well. 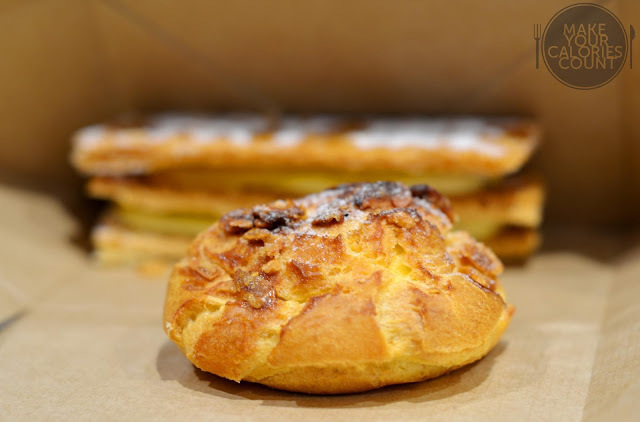 It was comparable to the commonly known Choux Creme or Beard Papa though these are speciality bakers for puffs. As you reveal this well crusted chestnut loaf from the plastic wrapper, it gives off a fresh bake fragrance and a strong tinge of chestnut. 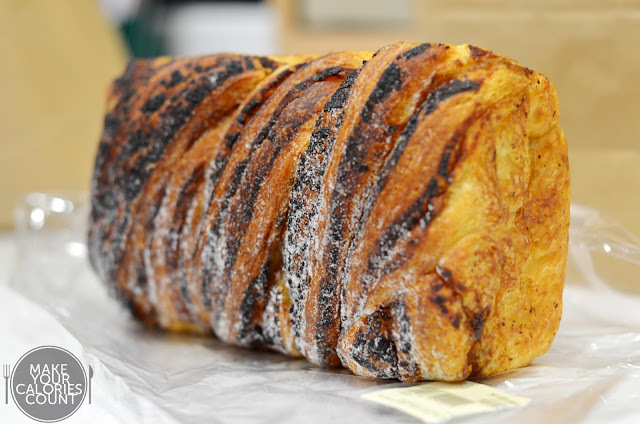 It was well-baked, with a crisp crust lining the surface that crumbles with each bite. There were slight swirls of the chestnut creme on the inside which was soft and moist, but apart from the aroma, you would not be able to taste much of the chestnut. Overall, the texture was good, but the tasting was somewhat lacking. The chicken pie was crisp on the outside and you could see the flakes from the picture. A strong fragrance of butter enough to please and not satiate one's appetite. The chicken fillings on the inside was tender and were in small bite-sized chunks which made it go well with each bite, but the portion could be more. The butter cake had a misleading simple paper wrap, but the taste was unbelievably good. It was moist, soft and rich in flavour. The texture was consistent and even throughout and one could not help but help for a second slice. Despite the rich butter flavour, it was not overwhelming nor did it leave one with greasy lips. Never judge a cake by its look! Despite the queue for the croissants, this trip would certainly not be the last visit whenever we are in the vicinity of Causeway Bay.